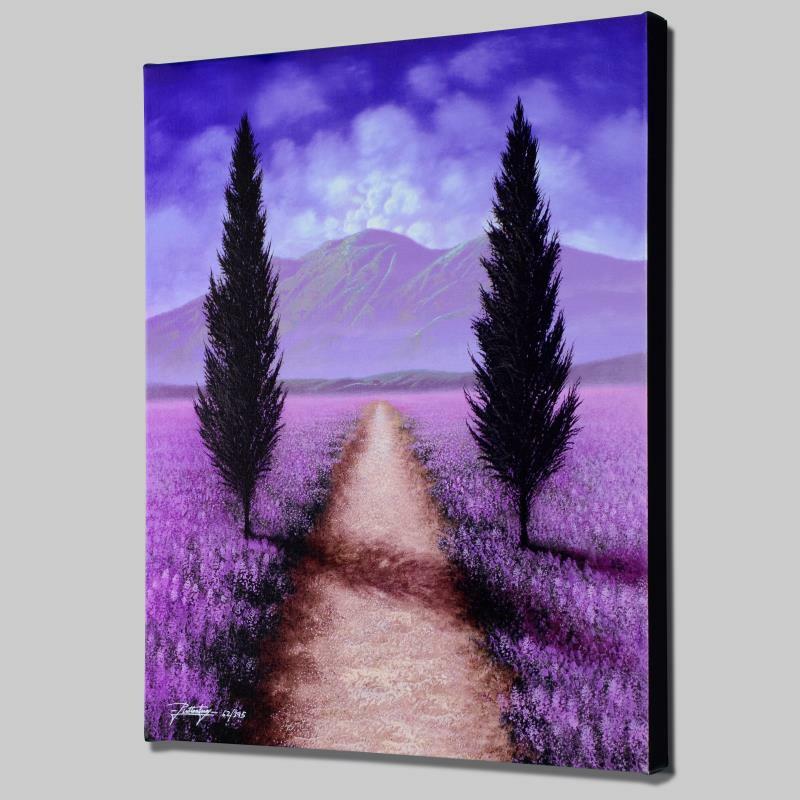 "Dream Walk" Limited Edition Giclee on Canvas by Jon Rattenbury. Numbered and Hand Signed by the Artist, with Certificate of Authenticity. Gallery Wrapped. With an impeccable talent for capturing light and shadow, Jon Rattenbury creates luminous landscapes that are replete with bright colors and intricate details. 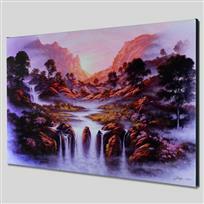 "Dream Walk" is a limited edition giclee on canvas, numbered and hand signed by Rattenbury! This piece comes gallery wrapped. Includes Certificate of Authenticity! Measures approx. 16" x 20" (image). Born in Cheltenham, England in 1966, Jon Rattenbury was born into an artistic family as his mother and his grandmother were both talented musicians. When Rattenbury was three years old, his family relocated to Northern California. Here, Rattenbury spent much of his youth exploring the lush landscape, which would prove to be his artistic inspiration for years to come. Essentially self-taught, Rattenbury began drawing at an early age, and began painting with oils and acrylics at age 13. It soon became evident that his calling was in the fine arts. After graduating from school, Rattenbury began working in a number of artistic industries. He designed stained glass, retouched photos in a studio, and worked in the printing industry, all while honing his skill in fine painting. In the 1990's, Rattenbury was finally able to display his work in a gallery in Southern California and this inspired him to pursue painting as a full-time career. In 2004, he founded Rattenbury Fine Arts, and has been publishing his own work ever since. Rattenbury’s work is continuously displayed all over the world with especially frequent showings in the United States and Japan. Jon Rattenbury, "Woodland Cascade" Limited Edition Giclee on Canvas, Numbered and Hand Signed by the Artist with Certificate of Authenticity. Jon Rattenbury, "Lullaby Seashore" Limited Edition Giclee on Canvas, Numbered and Hand Signed by the Artist with Certificate of Authenticity. 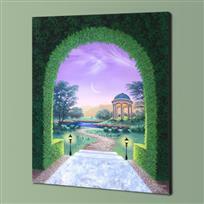 "The Garden Doorway" Limited Edition Giclee on Canvas by Jon Rattenbury. Numbered and Hand Signed by the Artist, with Certificate of Authenticity. Gallery Wrapped. 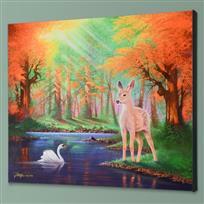 "When We First Met" Limited Edition Giclee on Canvas by Jon Rattenbury. Numbered and Hand Signed by the Artist, with Certificate of Authenticity. Gallery Wrapped. 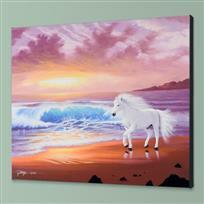 "Shores of Grace" Limited Edition Giclee on Canvas by Jon Rattenbury. Numbered and Hand Signed by the Artist, with Certificate of Authenticity. Gallery Wrapped. 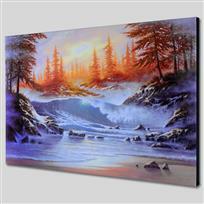 "As a New Day Begins" Limited Edition Giclee on Canvas (36" x 24"), by Jon Rattenbury. Numbered and Hand Signed by the Artist, with Certificate of Authenticity. Gallery Wrapped. 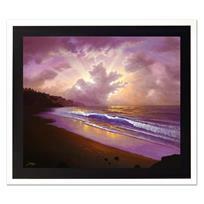 "Lullaby Sea" Limited Edition Giclee on Canvas (36" x 24"), by Jon Rattenbury. Numbered and Hand Signed by the Artist, with Certificate of Authenticity. Gallery Wrapped. 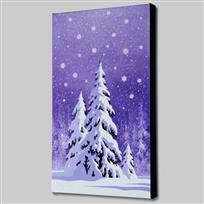 "December" Limited Edition Giclee on Canvas by Jon Rattenbury. Numbered and Hand Signed by the Artist, with Certificate of Authenticity. Gallery Wrapped and Ready to Hang. 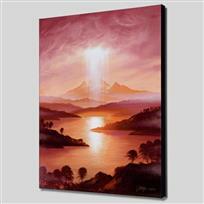 "Illuminate" Limited Edition Giclee on Canvas by Jon Rattenbury. Numbered and Hand Signed by the Artist, with Certificate of Authenticity. Gallery Wrapped. 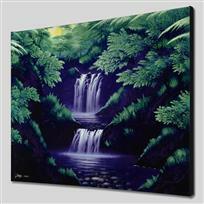 "Crystal Pools" Limited Edition Giclee on Canvas by Jon Rattenbury. Numbered and Hand Signed by the Artist, with Certificate of Authenticity. Gallery Wrapped.